Whether you're a print shop, graphic design company or firm who sells to small businesses, you can enhance your current product or service offering by adding revenue from complimentary services like websites, small business productivity and marketing tools. We make it easy. We'll load you up with the flyers and brochures you need to start selling custom packages right away. We'll do the work - you just let your customers know about the new services! Are you connected in your market? Do you know people who need a high quality software platform to help them thrive in the digital marketplace? Send us a client that signs up, and we'll send you a check. It's that easy. 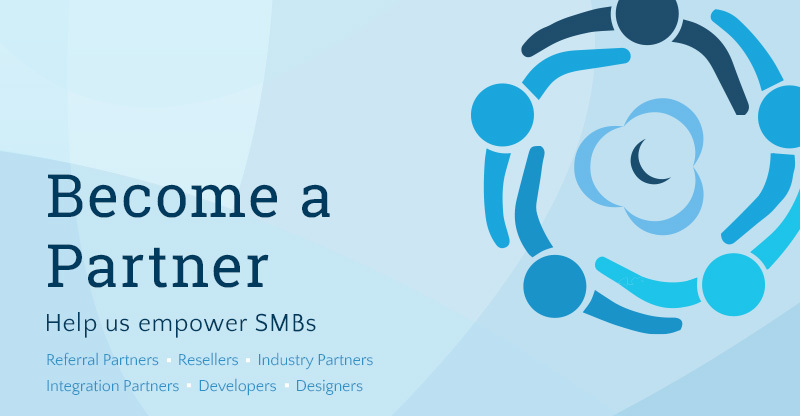 Our referral partner program offers anyone the opportunity to make some additional cash without the burden of taking on a full website project. This program pays a 10% commission up to $500 dollars just for sending people our way. Just submit your lead through the Partner Portal or have your lead drop your name/affiliate ID, and start earning money. More skin in the game - offers more reward! 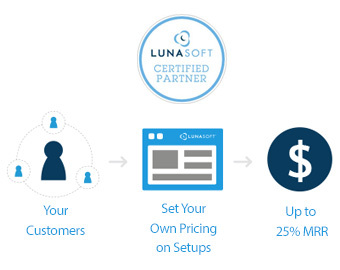 Get certified as a LunaSoft Reseller and sell software platform modules, setups and services at your own rates. Earn up to and 25% of Monthly Recurring Revenue (MRR). It's that simple. 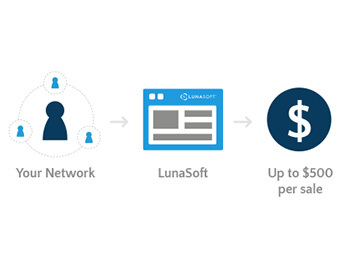 Certified partners also get cool perks like discounts on LunaSoft services, access to marketing materials and more. With the LunaSoft Platform you can manage all your client web properties from one login interface. 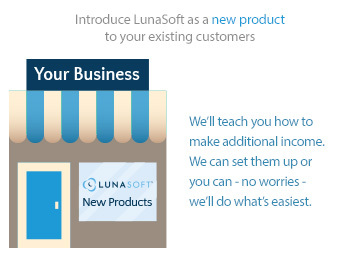 Have an industry or vertical you'd like to target with the LunaSoft platform? Let's talk logistics, revenue splits and marketing. We're in it to win with you!